This page only contains a few of the free products that you can find on this site. When I release new products I always have them for free for the first few days. I post these new items on the What's new? blog. To be alerted to new products you can subscribe to the rss feed, or follow me on facebook, twitter, or Pinterest. You can find the links to the RSS feed, facebook and twitter at the top right of this page. Click this link to visit my Pinterest Boards. Use these lion bookmarks and an award to motivate your students. The bookmarks are two sided. The back side contains facts about lions. To open the file you need to have the Adobe Reader. You can download it here. If you like these bookmarks. You might be interested in purchasing Kaylee's Educational Studios complete 50 animal bookmark collection. Let your child practice the ace word family with this fun, printable, ace word wheel. If you like this wheel you might consider getting the whole word wheel collection for just $4.00. Click here to learn more about the full collection. This is a great reading award that you can give to your students as an incentive to read more. If you like this award. Please consider buy the e-book. Awards, Certificates and More. It contains more than 80 different awards and certificates for you students. Display your classroom rules in with this poster. There are 3 different formats that you can download. The first two are editable and you can add your own classroom rules to the poster. The first is in Microsoft Word Format and the second is in an openoffice format. The 3rd is in pdf format and already contains a set of classroom rules. 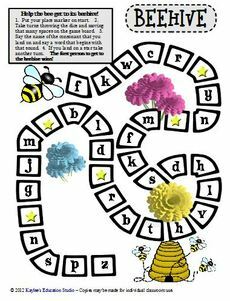 After students have completed the craft they can be used to create a bulletin board, or gathered together to make a classroom contraction book. Please leave a comment letting me know how the craft turned out! For more ideas on how to teach vocabulary visit my Vocabulary Games and Vocabulary Activities pages. Here is a great back to school activity for students to complete. I've got a great collection of free reading charts to use as incentives to reading. You can find them on my reading chart page. Here is a set of hidden picture puzzles to help kids learn all of the different ways to make 10. 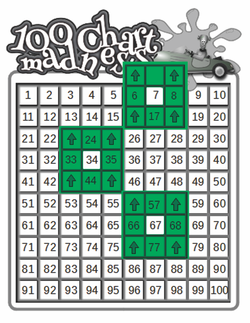 There are a bunch of free math games for first grade on my math games page. Get a back to school study skills handout. You can get it by visiting this old blog post, Back to School Study Skills. 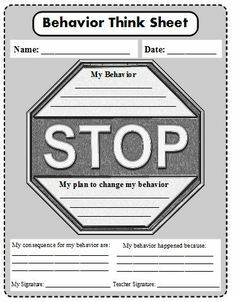 There are 4 different free think sheets for behavior on my behavior think sheet page. There are 15 free phonics game boards on my Phonics page. You've heard of color by number. Well, how about color by fractions. 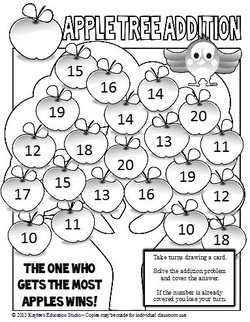 There are also hidden picture color by fractions worksheets for finding out the lowest term.